SAMWHA CAPACITORS GROUP is one of the largest electronics companies and digital telecommunications in Korean industry with a history dating back to 1956. For over half a century, the company manufactures a wide range of high quality passive components such as capacitors, EMI filters, varistors, ferrite cores, inductors, transformers and other electronic components in their Korean factory and as well in their branches located in eight countries around the world, including Europe and USA. SAMWHA is an innovative company that pioneered the electronics industry in South Korea and in the years had gradually expanded and established itself as the benchmark for premium quality worldwide. The company conforms to ISO9001: 2008 - System for Quality Control, as well as by ISO14001: 2004 - System for Environmental Protection. Components with brand SAMWHA earned a very good reputation in terms of quality, reliability, and excellent price / performance ratio. VIKIWAT Ltd. is the biggest Bulgarian wholesaler and retailer and offers to its customers a variety of products from SAMWHA. 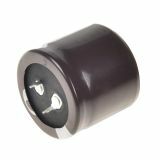 In our online and offline stores, you can easily find and buy in stock quantities of various kinds of aluminum electrolytic capacitors for THT and SMT mounting at attractive prices and fast delivery. Capacitor, electrolytic, 330uF, 450V, THT, F30x37mm Electrolytic capacitor with operating voltage 450 V, rated capacitance 330 uF and operating temperature 105°C. 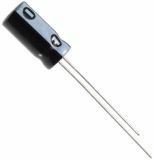 Electrolytic Capacitor 33uF, 450V, THT, Ф16x25mm Electrolytic capacitor with operating voltage 450 V, rated capacitance 33 uF and operating temperature 105 °C. Capacitor electrolytic 10000uF, 50V, THT, Ф30x46mm Electrolytic capacitor with voltage 50 V, capacitance 10 000 uF and operating voltage up to +85°C. Electrolytic capacitor 4.7uF, 400V, THT, Ф10х13mm Electrolytic capacitor with operating voltage 400 V, rated capacitance 4.7 uF, operating temperature 105 °C. 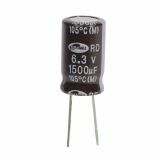 Electrolytic capacitor 6.3V, 1500µF, Ф10x16mm Electrolytic capacitor with an operating voltage of 6.3 V, 1500 uF nominal capacity and operating temperature 105 °C. List Price 0.35лв. VAT Incl. 0.33лв. VAT Incl. 0.31лв. VAT Incl. 0.29лв. VAT Incl. 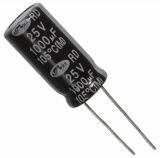 Capacitor RD1E477M1012MBB, electrolyte, 470µF, 25VDC, ±20%, THT Electrolytic capacitor with voltage 25 VDC, capacity 470 uF and operating temperature up to 105°C. List Price 0.30лв. VAT Incl. 0.28лв. VAT Incl. 0.25лв. VAT Incl. 0.23лв. VAT Incl. Electrolytic capacitor 63V, 4700uF, ф26x41mm Electrolytic capacitor with operating voltage 63 V, rated capacity 4700 uF and operating temperature 105° C.
Electrolytic capacitor 450 V, 330 µF, Ф30x50 mm, snap-in Electrolytic capacitor (HC-series) with an operating voltage of 450 V, 330 uF nominal capacity and operating temperature 85 °C. List Price 6.10лв. VAT Incl. 5.79лв. VAT Incl. 5.49лв. VAT Incl. 5.18лв. VAT Incl. 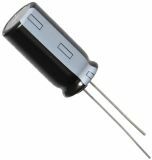 Electrolytic capacitor 1uF, 350V, THT, Ф8x18mm Electrolytic capacitor with an operating voltage of 350 V, 1 uF nominal capacity and operating temperature 85 °C. List Price 0.20лв. VAT Incl. 0.18лв. VAT Incl. 0.16лв. VAT Incl. 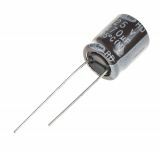 Electrolytic capacitor 4.7uF, 100VDC, ф5x11mm Electrolytic capacitor with operating voltage 100 VDC, rated capacitance 4.7 uF and operating temperature from -55 °C to 85 °C. Electrolytic capacitor 10uF, 100V, THT, Ф5x12mm Electrolytic capacitor with an operating voltage of 100 V, 10 uF nominal capacity and operating temperature 85 °C. Electrolytic Capacitor 100uF, 35V, THT, Ф6.5x11mm Electrolytic Capacitor with voltage 35 V, capacitance 100 uF and operating temperature 105°C. Electrolytic capacitor 100uF, 160V, THT, Ф13x26mm Electrolytic capacitor with operating voltage 160 V, rated capacity 100 uF and operating temperature 105 °C. Electrolytic Capacitor 100uF, 400V, THT, Ф18x40mm Electrolytic capacitor with voltage 400 V, capacitance 100 uF and operating temperature 85 °C. Electrolytic Capacitor 100uF, 450VDC, THT, Ф18x40mm Electrolytic Capacitor with voltage 450 V, capacitance 100 uF and operating temperature 105 °C. 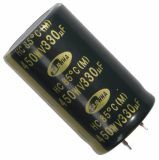 Electrolytic capacitor 150uF, 400V, THT, Ф30x25mm Electrolytic capacitor (HE-series) with an operating voltage of 400 V, 150 uF nominal capacity and operating temperature 105 °C. List Price 3.50лв. VAT Incl. 3.32лв. VAT Incl. 3.15лв. VAT Incl. 2.97лв. VAT Incl. 2.80лв. VAT Incl. Electrolytic Capacitor 220uF, 450V, THT, Ф30x41mm Electrolytic Capacitor with voltage 450 V, capacitance 220 uF and operating temperature -25 to +105 °C. Electrolytic capacitor 1000uF, 25V, THT, Ф10x20mm Electrolytic capacitor (RD-series) with an operating voltage of 25 V, nominal capacity 1000 uF, operating temperature 105 °C and high CV rating value. List Price 0.30лв. VAT Incl. 0.27лв. VAT Incl. 0.25лв. VAT Incl. 0.24лв. VAT Incl. Electrolytic capacitor 1500uF, 16V, THT, Ф12x20mm Electrolytic capacitor with operating voltage 16 V, rated capacity 1500 uF and operating temperature 105 °C.